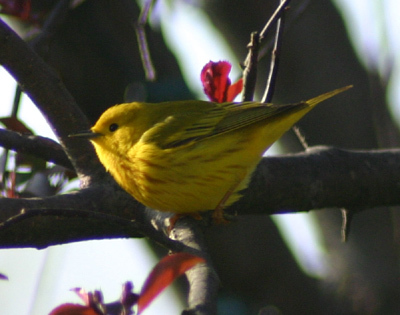 Yellow Warblers nest in trees, building a cup nest. Aestiva lays 3-6 eggs, but the two other groups, which breed in mangroves, lay fewer eggs, as would be expected for tropical races. These birds feed on insects and spiders, but northern races will also take some berries. 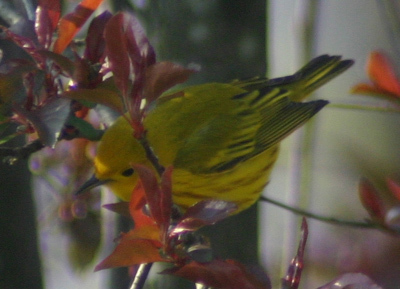 The yellow warbler song is a musical sweet sweet sweet, I'm so sweet, although it varies considerably between races. The call is a soft or harder ship.